Cottage cheese provides high-quality protein, calcium and vitamin B-12, and you can consume it on its own or in a variety of recipes. However, you might need substitutions for cottage cheese if you get tired of eating it, do not like its taste or are unable to consume dairy products. Plenty of healthy substitutions are available. A 1/2-cup serving of part-skim ricotta cheese contains 171 calories and 337 milligrams of calcium, or 34 percent of the daily value based on a 2,000-calorie diet. A 4-ounce portion of nonfat cottage cheese has 81 calories and 97 milligrams of calcium. Besides being higher in calcium than cottage cheese, ricotta cheese is also lower in sodium, with 123 milligrams per 1/2 cup compared with 420 milligrams in a serving of cottage cheese. Use ricotta cheese as a substitute for cottage cheese in lasagna or spinach pie. An 8-ounce container of nonfat plain yogurt contains 127 calories and 452 milligrams of calcium, making it a better source of calcium than cottage cheese. Yogurt is also higher in vitamin B-12 than cottage cheese, providing 1.38 micrograms compared with 0.52 microgram per 4-ounce serving of cottage cheese. Take yogurt for your snack instead of cottage cheese, or mix cereal and fruit into yogurt instead of cottage cheese for breakfast. 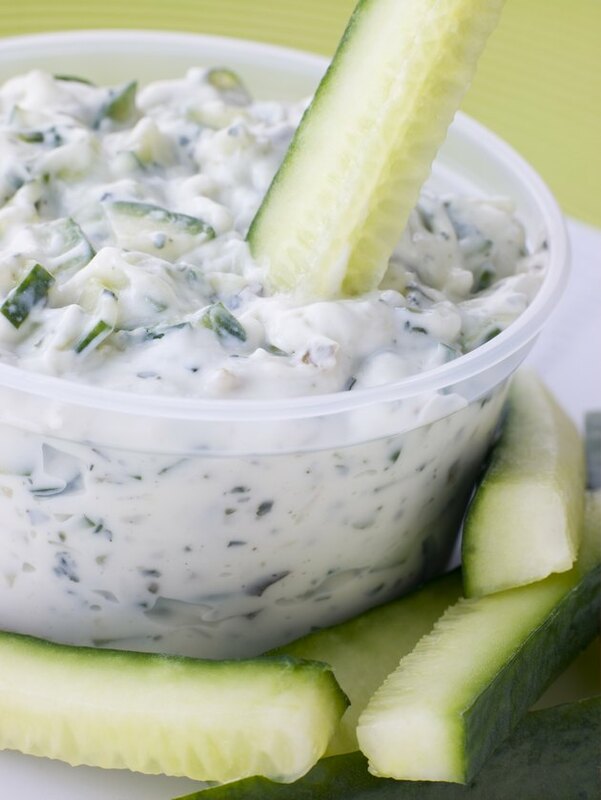 You can also use plain yogurt instead of cottage cheese as a base for healthy dips. Choose low-fat or fat-free cheese instead of cottage cheese as a topping for your morning bagel or English muffin. An ounce of fat-free cheddar cheese contains only 44 calories but provides 9 grams of protein and 250 milligrams of calcium. Select low-fat or fat-free instead of full-fat cheeses to limit your consumption of unhealthy saturated fats. Have a sandwich with fat-free cheddar cheese and apple slices, or have grapes with a low-fat cheese stick instead of cottage cheese for a snack. If you're looking for a protein source other than cottage cheese, egg whites are lactose-free, making them an alternative for individuals who are lactose intolerant. A 1/2-cup serving of egg whites, or four large whites, provides 13 grams of protein, compared with 12 grams of protein in a 4-ounce serving of cottage cheese. Have hard-boiled egg whites for a snack instead of cottage cheese, or make a breakfast consisting of fruit with an egg white omelet instead of cottage cheese. Ready-to-eat lean meat, poultry or fish can be a convenient, high-protein snack alternative to cottage cheese. Slice grilled chicken breast to take with you to work for an afternoon snack, or store low-sodium turkey breast, lean ham or chicken breast slices in the refrigerator as an alternative to cottage cheese. Canned tuna is another convenient option. For lunch, instead of cottage cheese with your green salad, try tuna salad made with fat-free yogurt.